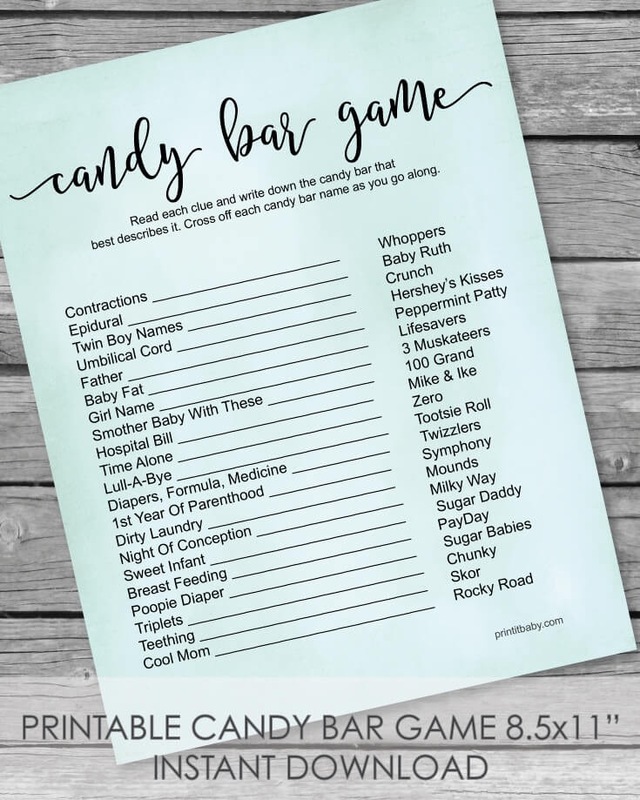 Printable Baby Shower Candy Bar Game - Aqua Watercolor: guests race to match several baby terms to their related candy bar names! (Example: Triplets = 3 Musketeers) This is a challenging game that will bring out the competitive side in everyone! 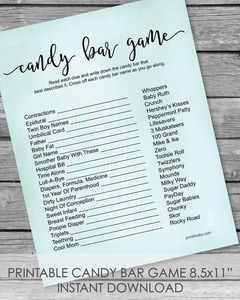 A great prize idea is to give a basket full of candy bars!